Your system is running slow and it’s clearly time for a memory upgrade. But which upgrade is compatible with your system? While there are thousands of memory upgrades on the market, many are not able to work on your system, and it can be extremely difficult to find compatible memory unless you’re really tech-savvy. 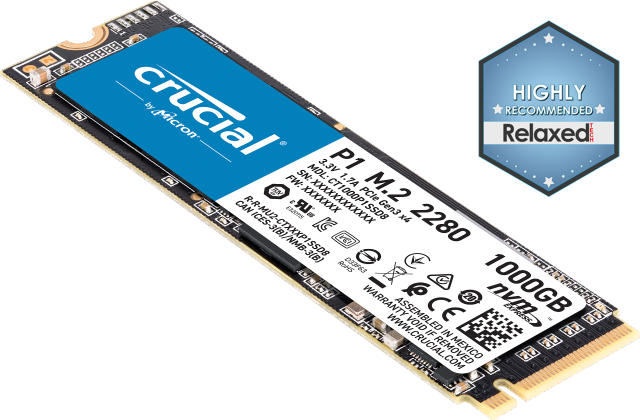 That’s where the memory and storage experts at Crucial.com come in. At Crucial.com, we work tirelessly to test, manufacture, and analyze memory for nearly every system imaginable – systems both new and old. Our compatibility analysts are leaders in the field and are responsible for building and maintaining an industry-leading database that tracks module compatibility for nearly every system available. 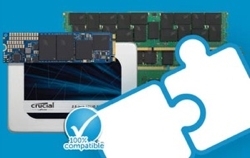 Since we’re a brand of Micron and have a direct relationship with computer manufacturers, we’re able to ensure 100% compatibility, and we go a step further to offer a guarantee. If you order on Crucial.com and use our Crucial System Scanner or Crucial Advisor™ tool to purchase an upgrade, we guarantee compatibility – or your money back. That’s our 45-day no-hassle guarantee. For more than 35 years we’ve tested, manufactured, and supported premium-quality memory for computer owners all over the world. Let us do the same for you.